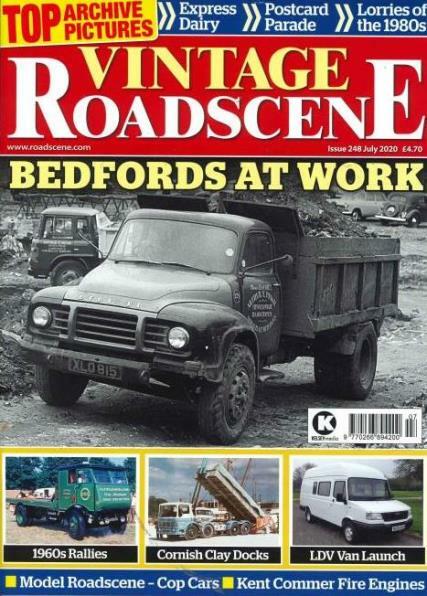 Vintage Roadscene is the transport magazine that takes you through the history of Britain’s road transport. The Vintage Roadscene leads the other magazines of the same category with brilliant editorials, relevant information and top class historic real photographs. It has 12 issues in a year and every issue is like a nostalgic ride of memories and experiences of how the transportation scene has been in the yester years and how the transport industry survived the wartime challenges. All the informative articles and journals are out of the insightful experience and knowledge of historians and are backed by historic evidences and details. The main highlights of the magazine are the true to real photographs of the historic vehicles in their entire glory and action. Even if the photographs are in black and white, it still reflects the real scenario of the transport. You can subscribe the Vintage Roadscene magazine to nurture your enthusiasm and thrill about the vintage transport vehicles and information. During your subscription period, every issue of the magazine would conveniently delivered right to your doorsteps.